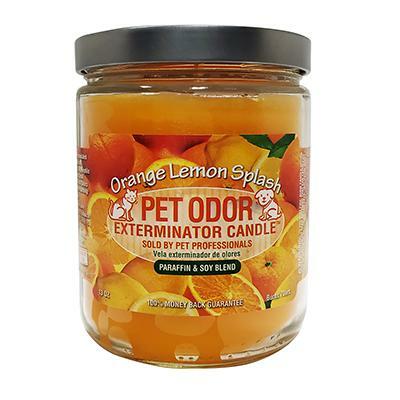 This world famous odor exterminator candle attacks and eliminates pet odor using an amazing enzyme based formula. These candles are used in thousands of veterinarian offices, pet stores and millions of homes around the world, providing pet owners with an enjoyable solution to pet odor concerns. 13 ounce candle burns approximately 70 hours.